If you’ve got an organizer on your shopping list, any of these top 10 gifts would be a hit! Most of them are very affordable in the $10-20 range. 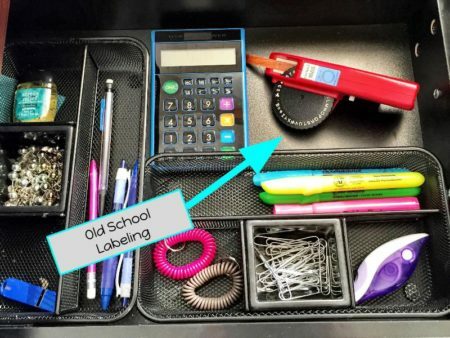 I own all of them and they help simplify and organize= a win-win! OXO containers are awesome! They keep opened packs of crackers or cereal fresh and they look neat too. They come in all different sizes. The inside can be wiped down easily and, once you get used to the way the lid twists to be cleaned, it’s easy to clean as well. I think of these not only as an organizing tool, but as a money saver because things last longer and stay fresher. 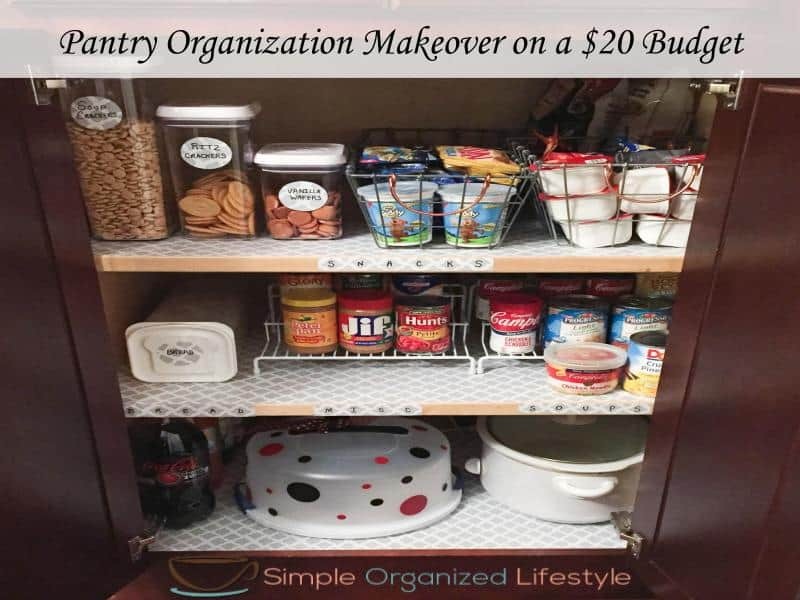 Below is an image of the way I use OXO containers to keep the pantry organized! They are so handy! My organizing days go wayyyyyy back. Anyone remember these? Label makers have become a little more modern these days and they are great to have for all kinds of projects! My favorite is the tried and true Dymo label maker. 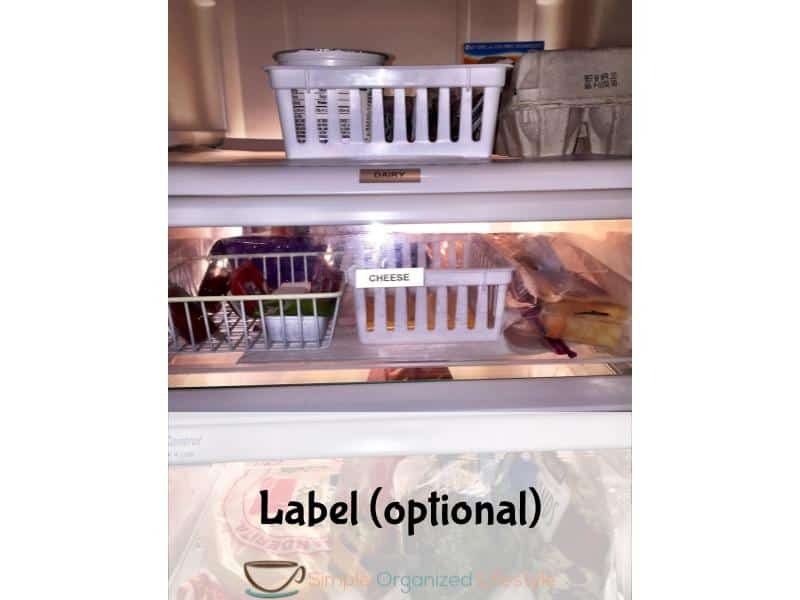 These labels are great to use on containers, shelving and just about anything. I’ve even used them in the fridge and they have held up great! Sharpies to the organizer are like chocolate to the chocolate lover. They are handy in all kinds of situations. They come in all colors and have ones with key chains! These make great gifts or stocking stuffers! A sturdy tote with dividers can be used for all kinds of organizing projects in the home, car, or office. I have this one in two different sizes (love Thirty One products), which is currently out of stock online but a cheaper alternative that looks like a great option would be something like the 7 Pocket Fashion Print Tote Utility Bag (Geometric Gray / Pink Trim) . These are awesome in the car! They help give everything a home and that’s always on the organizer’s list! I was at a conference once when I was watching (okay, maybe slightly stalking) a lady who pulled a piece of paper out of her notebook and then put it back in without opening any rings! When we got a break, I asked her to show me her notebook. She said she it was a Levenger system and she couldn’t live without it. I did my own research (I have Levenger and an Arc – Arc works fine too and is more affordable but is not as durable) and now I have others asking me where I got this notebook. Everyone who has bought one comes back and says how much they enjoy their notebooks! There are all kinds of uses and places for a desk set. It’s a classic! I currently use a blue one exactly like the one on Amazon made by Poppin All Set. I found it at Sam’s Club for $24.99 during one of their seasonal specials. A clear fridge bin saves time from cleaning up potential spill disasters and sanity for keeping things organized in the fridge. They work just as great holding lotions and sprays in the bathroom. We also use a few of these in the RV to keep things from sliding around. Try them. Trust me. You will have a new favorite pen! 10. A nice hanging file system. 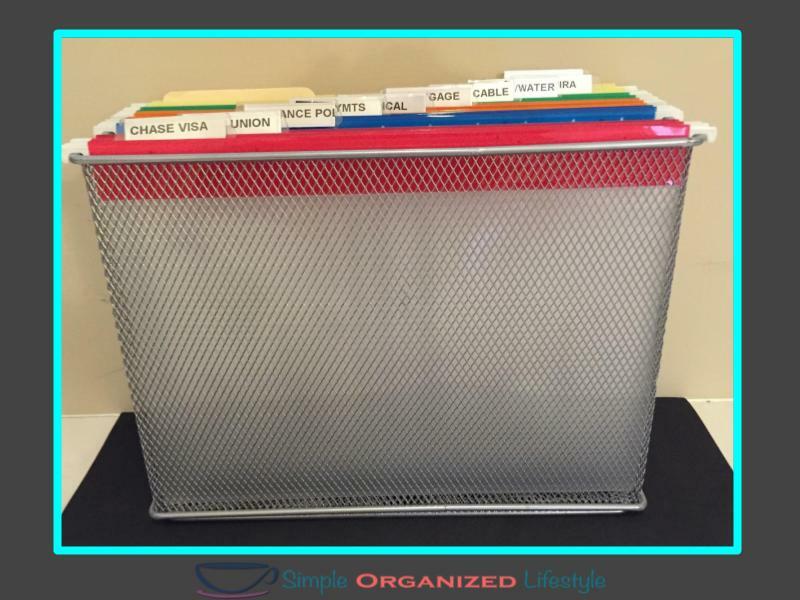 I use a mesh steel desktop hanging file holder. . Some colored folders would make it complete! I like the organized tote idea. Added to my Amazon wish list for Christmas. Would love to have one to keep my the door and one for the van!